The BONK game board is smaller, so gameplay tends to be faster. 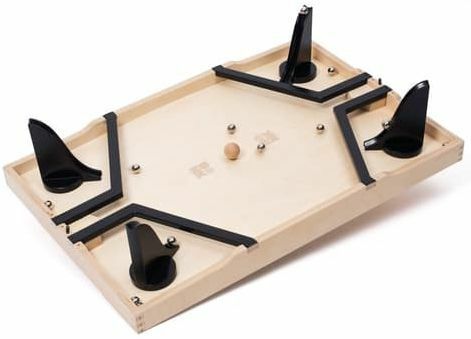 The BONK game board is made from a single piece of curved wood whereas Rollet is made from two; this difference affects the curve of the game board and therefore the movement of the balls. The slides in BONK are plastic whereas Rollet uses wooden slides.